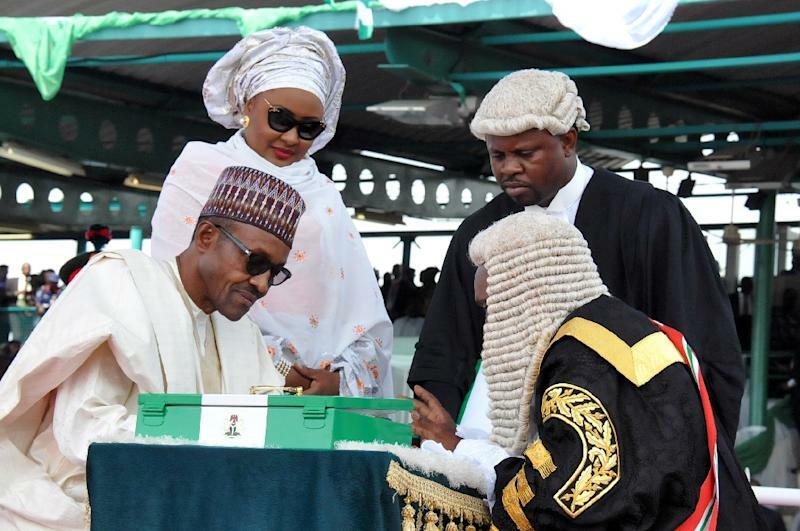 Abuja (AFP) - Nigeria's new President Muhammadu Buhari pledged to tackle the nation's problems "head on" and an intensified fight against Boko Haram in his inaugural speech after taking the oath of office on Friday. The 72-year-old, who took charge of Africa's most populous nation after an historic election, said he had inherited "enormous challenges", including economic turmoil and widespread unrest. "We are going to tackle them head on... Nigerians will not regret that they have entrusted national responsibility to us," he said before supporters, dignitaries and heads of state in Abuja. He slammed Boko Haram insurgents as "a mindless, godless group, who are as far away from Islam as one can think of". 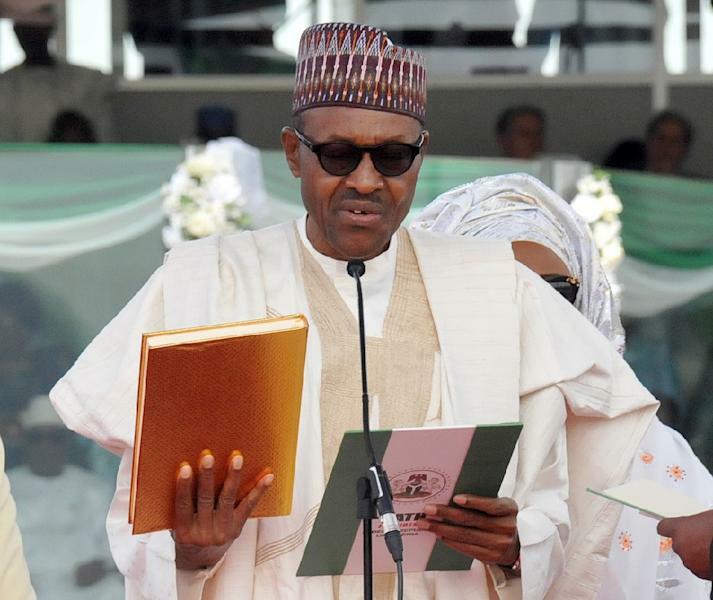 The new president, who is an observant Muslim, said he would set up a new military command centre in the northeastern city of Maiduguri, the capital of Borno state, which has been a Boko Haram stronghold. "Victory cannot be achieved from a command and control in Abuja," he added. He then suggested that defeat of Boko Haram would be incomplete without the rescue of the 219 schoolgirls from the northeastern town of Chibok held hostage by the Islamists since April of 2014. Buhari had previously said he could not make promises concerning the rescue of the Chibok girls, with their whereabouts unknown. Continuing on Boko Haram, Buhari echoed the opinions of most analysts in saying the uprising could have been contained at the outset. But it intensified due to "official bungling, negligence (and) complacency". Once Boko Haram is defeated, Buhari said his government would commission a study "to determine its origins, remote and immediate causes of the movement, its sponsors (and) the international connections". The goal, he added, was "to prevent a recurrence of this evil". "With depleted foreign reserves, falling oil prices, leakages and debts, the Nigerian economy is in deep trouble and will require careful management to bring it round," the president said, not mincing words about the state of the economic crisis. Low oil prices have hammered government revenues, leaving thousands of public workers unpaid for months, weakening the naira currency to historic lows and forcing state projects to be shelved. He described Nigeria's current level of electricity output as "a national shame", with residents of Africa's top oil producer facing interminable power cuts that can last for days, and sometimes weeks. "We will not allow this to go on," Buhari said. The speech recalled the country's pre-colonial history and leaders, listing a series of tribal monarchs whose legacies are still celebrated in the areas where they reigned. "The blood of those great ancestors flow in our veins," Buhari said, while blasting the comparatively poor performance of Nigeria's leaders since independence from Britain in 1960. "Some of their successors behaved like spoilt children breaking everything and bringing disorder to the house," the president said. He noted that after an unprecedented election win that saw the opposition defeat a sitting president for the first time in Nigeria's history, his administration was "basking in a reservoir of goodwill and high expectations". "We have an opportunity," Buhari said. "Let us take it."